A clinical psychologist with broad administrative experience in academia is expected to be appointed as the 11th president of Erie Community College. The Buffalo News has learned that Dan Hocoy, who currently is associate vice chancellor for advancement in the Antioch University System and formerly was president of Antioch University Seattle, will be selected to succeed Jack F. Quinn Jr. when the State University of New York trustees meet Wednesday afternoon in Albany. Hocoy emerged from four finalists as the top choice of ECC trustees in a 2 ½-hour meeting in executive session earlier this month. ECC trustees forwarded Hocoy's name to SUNY Chancellor Nancy L. Zimpher, who met with the candidate and will recommend the appointment. A native of Trinidad and Tobago, Hocoy moved to Canada as a political refugee, according to a biography on the Antioch University Seattle website. Dennis P. Murphy, chairman of the ECC Board of Trustees, did not return voicemail messages seeking comment on the pending appointment. In an interview following the ECC selection meeting, Murphy reiterated that all four finalists had the qualifications and credentials to win the ECC job and that the trustees were looking for the best fit. The trustees were seeking a "change agent to bring ECC to a place where it is respected as a leader, not only in the state, but in the nation," Murphy had said at the time. Hocoy, 49, had been provost and chief operating officer at Antioch University Seattle in 2015 when he was appointed interim president, succeeding Brian Baird, who like Quinn is a former U.S. congressman. 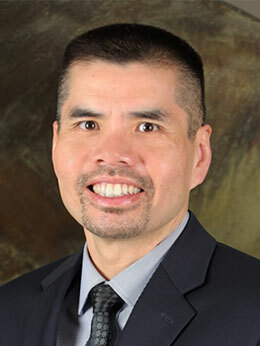 Hocoy later was named president of the 800-student branch in Seattle, where he led a successful move of the campus into a new downtown facility that allows for the potential of significant enrollment growth. Antioch University is a private nonprofit system of 4,000 students with campuses in Los Angeles; Santa Barbara, Calif.; Yellow Springs, Ohio; and Keene, N.H. The system's board of governors last July eliminated campus presidents and retained Hocoy as an associate vice chancellor, according to a report in Inside Higher Ed, an online publication that covers academia. Hocoy has spent most of his academic career on the West Coast. Prior to Antioch, he was associate provost for four years at Saybrook University in San Francisco. From 1999 to 2010 he was director of international programs and diversity and then director of institutional evaluation and accreditation at Pacifica Graduate Institute in Carpinteria, Calif. He started his career in higher education as an assistant professor at John F. Kennedy University in Pleasant Hill, Calif. In a presentation on ECC's South Campus in Orchard Park earlier this month, Hocoy gave a frank assessment of ECC as having "an image problem" and explained two possibilities for the college to work its way out of its current fiscal challenges: by reducing expenses through innovation or by expanding the proverbial budget pie. Hocoy said he has experience with both. At Saybrook, he helped the university work around the exorbitant costs of learning management systems for online programs by using Facebook to launch an experimental set of online graduate courses. The four courses ended up drawing four times as many students as non-Facebook courses. Students were more engaged and connected. "It was quite a success. The students that took the Facebook courses wanted all of their courses on Facebook," said Hocoy. "We had students from all around the world, including Africa and Asia." Hocoy also mentioned several ways ECC potentially could increase revenue without raising tuition, including creating more naming rights and corporate sponsorship opportunities for facilities, leasing underutilized campus space, and offering products and services by students being trained at the college. Hospitality students, for example, could operate a hotel or restaurant and auto technician students could run a repair shop. "Instead of replacing the brakes on a junker car 20 times, you would actually provide a service to the community at lower cost and students would be able to actually work on a real repair. 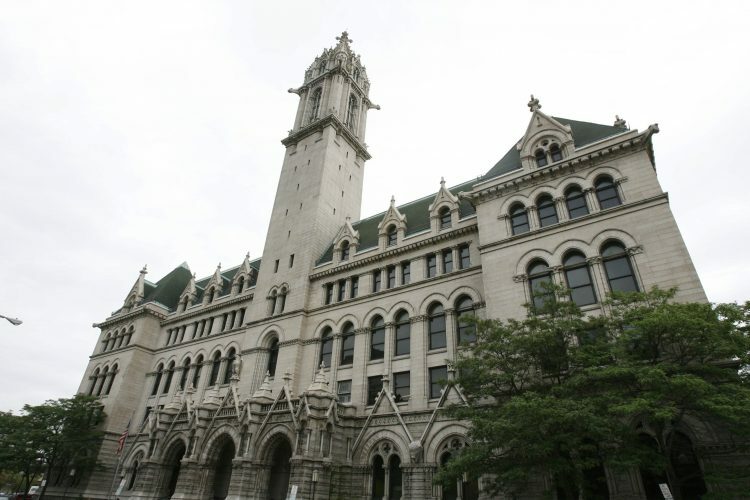 And it would provide the school with some additional non-tuition revenue," he said. SUNY trustees are expected to consider the ECC appointment in an open meeting of the full board Wednesday afternoon. The appointment will mark the end of a search that began in January with the hiring of national search firm Wheless Partners, which developed a candidate pool of more than 100 people. The search committee whittled the list down to 10 candidates and ultimately recommended four of them to the ECC Board of Trustees. The three other finalists for the job were Janine E. Janosky, dean of the College of Education, Health and Human Services at the University of Michigan-Dearborn; Matthew Reed, vice president for learning at Brookdale Community College in Lincroft, N.J.; and George W. Swan II, former vice chancellor for the Wayne County Community College District, a five-campus system based in Detroit.